Bleacher Report has a new feature on the circus surrounding LaVar Ball and his sons in Europe. Ball, unsurprisingly, loves the publicity he is getting. The Ball’s Lithuanian club has created a Big Baller Brand Challenge explicitly to get his sons playing time. LaVar is trying to interfere with the club’s operations on his sons’ behalf. Bleacher Report just dropped a fascinating feature from writer Mirin Fader about LaVar Ball and his sons’ venture playing basketball in Lithuania, and spoiler alert, it is every bit the absurd reality show it seems. One quote from Ball, in particular, seems to sum up his approach to the situation quite well. Prienai-Birstonas Vytautas, the team for which LaMelo and his older brother LiAngelo play, have pulled out of one local competition, the Baltic Basketball League, in order to play the Big Baller Brand Challenge, that is held against lower-tier teams for the express purpose of getting the Ball boys playing time. In one particularly notable scene, LaMelo ends up getting subbed out in a BBB Challenge game. “YOU CAN’T DO THAT TO HIM! YOU CAN’T DO THAT TO HIM! . . . 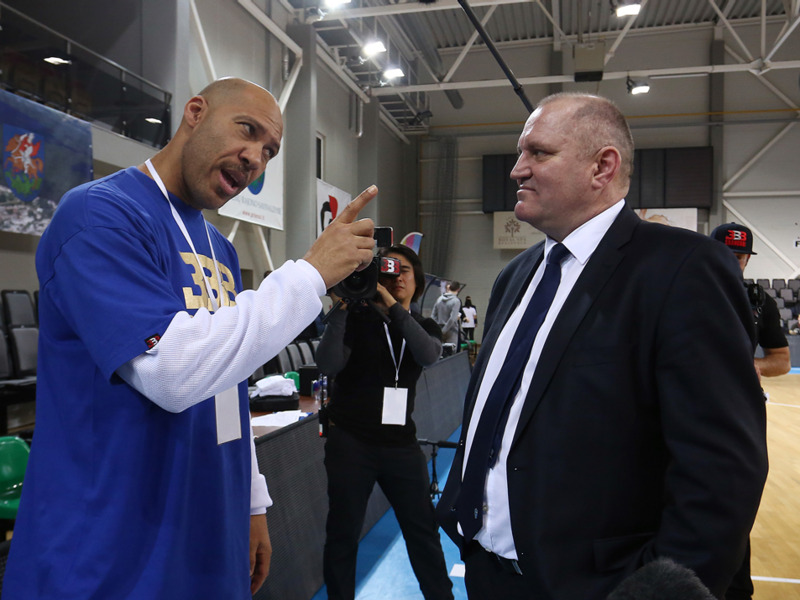 PUT MELO IN!” LaVar yelled at the Vytautas coach. And all of this is supported by a tiny basketball club thrilled with the extra publicity that the Ball circus brings with it. As far as actual games against actual competition go, LaMelo hasn’t fared nearly as well. In general, Fader paints a picture of the elder Ball trying to set things up to be as easy as possible for LaMelo, from games where he can get easy playing time to a coach who is unwilling, or unable, to push LaMelo as a player. For more anecdotes about the Kardashians of basketball, including the time LaVar became an assistant coach for Vytautas, check out the whole feature here.